Repeated trial and error has been practiced among victim citizens and local government for preparations for the cold season in the temporary houses. Winter clothes and other home appearances which were given from all over Japan as supporting goods and preserved in the city have been delivered to the tsunami victims. On the other hand, some citizens have been confused how to put summer clothes away in a limited space of the temporary houses. Some households are confused on how to use heaters. There are too many worries before a long and severe cold season. 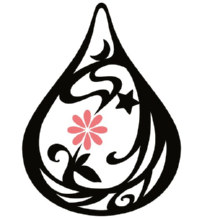 It will pass 7 months soon since the disaster. Low temperature marks 10 degrees centigrade in these days and autumn deepens day by day. Although, the stricken cities and towns could overcome hottest season, the first winter will arrive there. Over 6,500 pieces of blanket were delivered to each victim citizen in the end of September, who is now living in the temporary houses, private rent rooms, and public houses in Ohfunato City. 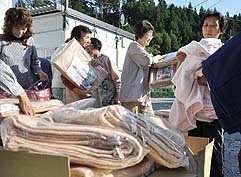 These blankets were sent from all over Japan and had been preserved in the city before distributing to victim citizens.